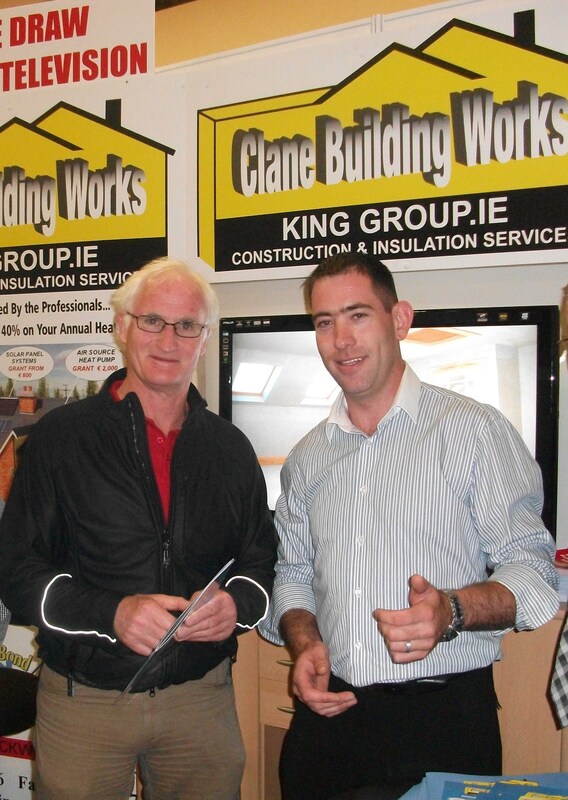 Managing Director John King is a third generation building contractor in the Leinster area, his construction history dates back to his grandfather William King Senior in the 1940’s and the business has progressed throughout the generations. Fifteen years ago John formed Clane Building Works Ltd under the King Group. He has followed and built on the family reputation for building quality developments of distinction. Throughout the years the company has gone from strength to strength. We have constructed many exclusive and varied projects from garage conversions to high quality houses, we have carried out numerous restoration projects to heritage and listed buildings. We also carry out commercial developments such as apartments, public houses & retail units. We have surrounded ourselves with high quality architects and engineers, we have a reliable and customer focused team of master craftsmen all highly qualified in their chosen field. 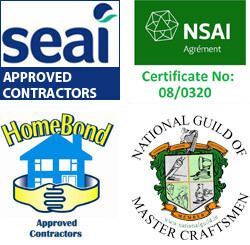 We are full members of the National Guild of Master Craftsmen and Homebond. The quality of our work is reflected in the portfolio of projects the company has been awarded. Our reputation for quality is achieved by our attention to detail and our satisfied clients. Our use of high quality craftsmanship combined with modern building technology enables us to continue producing superior building standards and finishes. In recent years we have become ever more interested and involved in energy efficient construction practices. We consider it fundamental to be current with today’s ever changing sophisticated designs, materials and practices through ongoing research, analysis and regularly training our staff. We now pride ourselves on offering a sustainable building company offering renewable energy solutions. We offer a one stop shop for the energy aware home owner providing advice and installation in all the leading systems available. From the initial assessment and advice on the most practical and economical upgrades available to completion of the necessary works and final certification. We now have an extremely qualified, well balanced, customer focused team in place devoted to energy conservation in existing Irish homes. Our advisors can also help by providing information and advice on the SEAI grants available to improve the energy rating of your home. We take the stress out of energy upgrades for our clients providing them with more comfortable homes while reducing their CO2 emissions.